﻿ JK CM assures support to revive Handloom, Handicraft sectors. The Handicraft sector of the Indian state, Jammu & Kashmir is on the path of revival. To support the fallen sales, a request has already been made to the state government. The Jammu & Kashmir, CM Mehbooba Mufti, has assured Nizamuddin Bhat, Vice Chairman, Handloom and Handicraft Development Corporations to work for the betterment and growth of the sector. The Vice President stated: that Handloom and Handicraft Development (HHDC), faces much Hurdles like 2014 floods, 2016 unrest followed by demonetization and implementation of GST in July. Vice President Bhat argued the CM to take special actions to supports the Indian Handicrafts of the state. Bhat also urges the government to improve the financial assistance and essential resources of workers. According to reposts: The chief minister desired to get handloom and handicraft sector in the state fully revised for which she assured him all support. She also asked for devising schemes aimed at the welfare and prosperity of the artisan community to attract young talent in the sector. Bhat said Development Commissioner in Union Government for Handloom and Handicrafts is showing personal interest in the development of the two sectors and the two projects will soon get the clearance. He said that state government is also thinking of enhancing the budgetary support and revolving fund for both handloom and handicrafts to improve the business and health of the two corporations. “It is with the commitment, dedication and hard work of this workforce, skilled and unskilled, that the two key sectors wedded to our identity and indigenous growth that the art and craft of Kashmir will be restored to its pristine glory,” he maintained. He appreciated the efforts of management in expanding business avenues through quality control and resource management. He said that comprehensive study for exploring market avenues of the manufactured goods, art and craft items is one area which is now well looked after by the two corporations. However, more innovative strategies needed to be devised for fair complexion in local, national and international market, he added. He appealed the government for more generous support and expected one-time package to meet the liabilities arising out of salary component so that the corporations are relieved of stress and employees and workers could get desired comfort level to contribute fully towards the revival of the organizations. 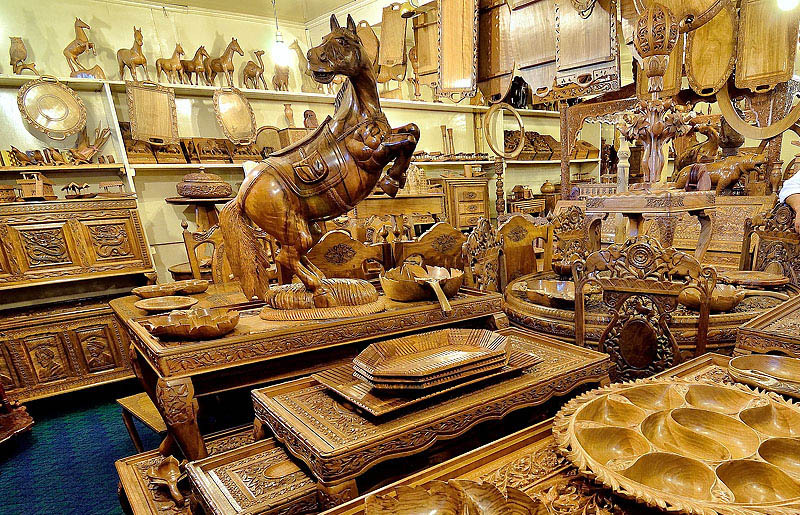 Despite all odds, handicraft exports from J&K increased by 8.6 per year-on-year to Rs. 1,151.12 crores in 2016-17 from Rs. 1,059.41 crores in 2015-16.J&K is a home to around 2.50 lakh artisans who are directly dependent on the handicraft sector for their livelihood. The sector has a great potential for more employment if proper attention is paid to its expansion and promotion to increase the demand. According to the Directorate of Handicrafts, the sector earns around Rs. 1,700 crores in foreign exchange every year. Jammu & Kashmir handicrafts are incredibly beautiful. 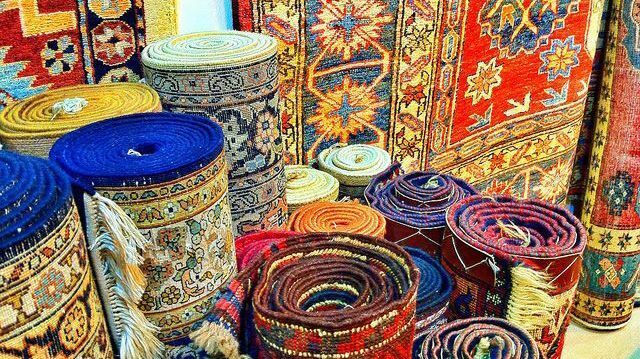 The state is famous for crafting carpets that are world-wide famous and the gorgeous Pashmina Shawls can even pass through a coin. People around the world appreciate the artisans of J&K for their beautiful crafting. 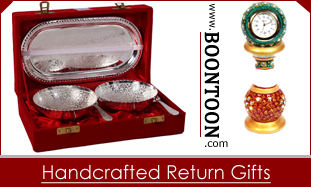 The handicraft of J&K is exported worldwide, and majorly used as a gifting purpose in weddings, corporate world and special occasions like Diwali, New Year & Housewarming party. You’re truly a good webmaster. The web site loading speed is amazing. It sort of feels that you’re doing any unique trick. In addition, The contents are masterpiece. you have done a fantastic activity on this matter!